I may have found the excuse I needed to come to Alki Beach when it’s cold and rainy. At West Seattle’s Spud Fish and Chips, I can enjoy one of my favorite meals served with a stunning view of Elliott Bay – at one one of the oldest fast food restaurants in the city. I don’t know of many other places that offer an inexpensive menu with such an expensive view. Do you? 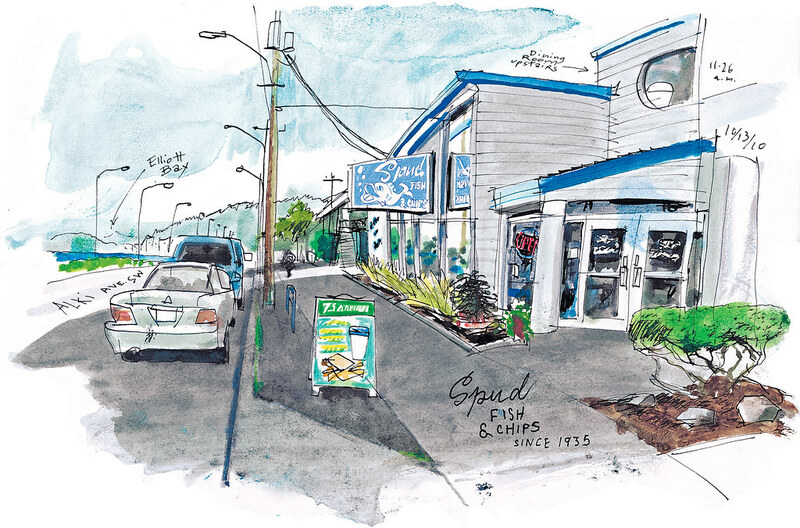 This year marks Spud’s 75th anniversary serving fish and chips by the beach. 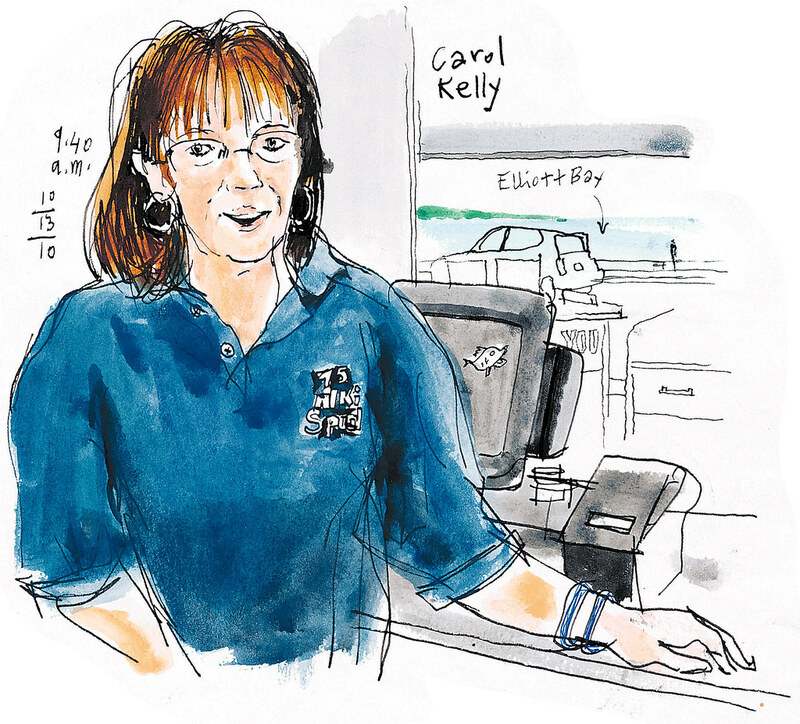 A cardboard of fried cod and fries was 10 cents in 1935, and the batter recipe is still the same today, said manager Carol Kelly, who was hired by Frank Alger, one of the original owners, in 1972. “You don’t mess with success,” she said. Now that the summer craze has passed, a lot of people come to watch the storms from the upstairs dining room, said Kelly. Learn more about Alki Spud Fish and Chips on its Facebook page.